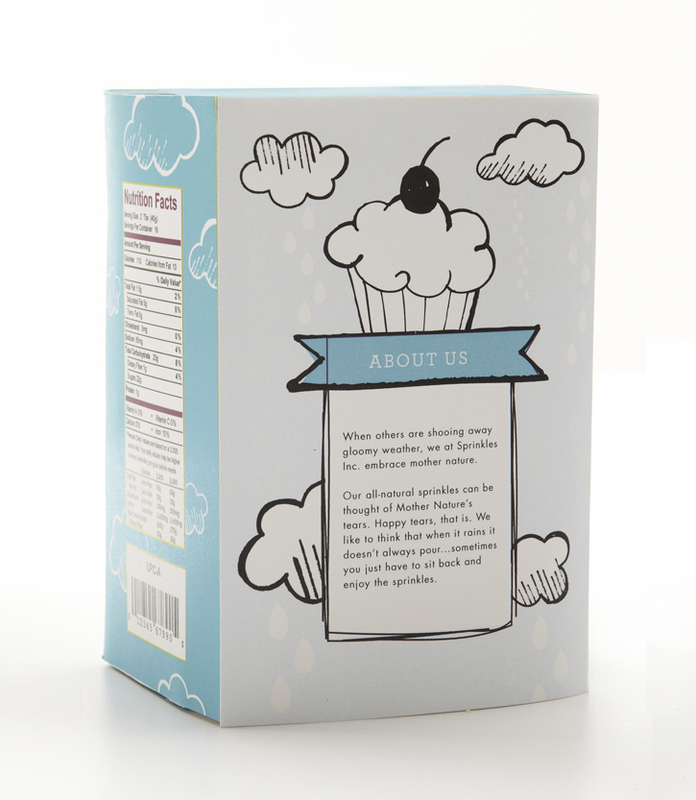 Illustrative packaging designed as a set featuring different varieties and colors of confectionary sprinkles. 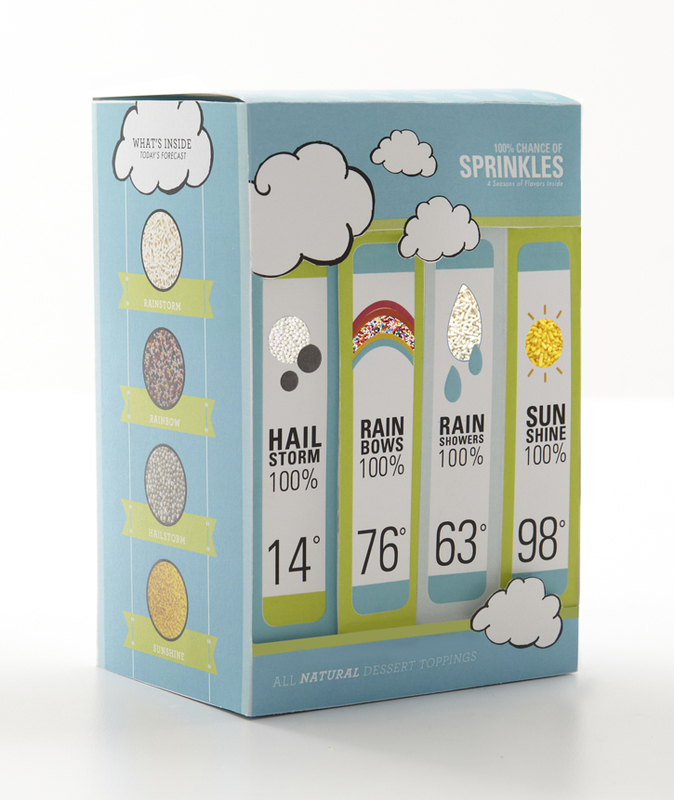 I played off the theme of relating each type of sprinkle to a certain weather pattern: hail, rain, sunshine, and rainbows. 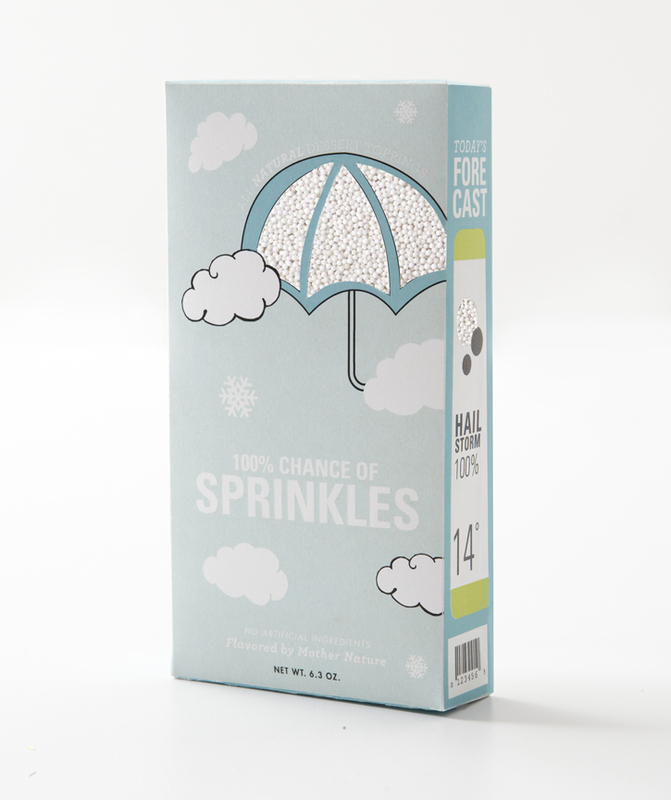 Each box includes a “forecast” of what’s inside, leaving the consumer more inclined to purchase and collect the different varieties of sprinkles.